Burndy Hylug™ YAZ-2TC 2-Hole Compression lug features copper construction and electro-tin plating to resist corrosion. Lug of length 2.78-inches, has long skived barrel of size 0.29-Inch OD x 1.12-Inch. Barrel comes with an inspection window to verify full conductor insertion. 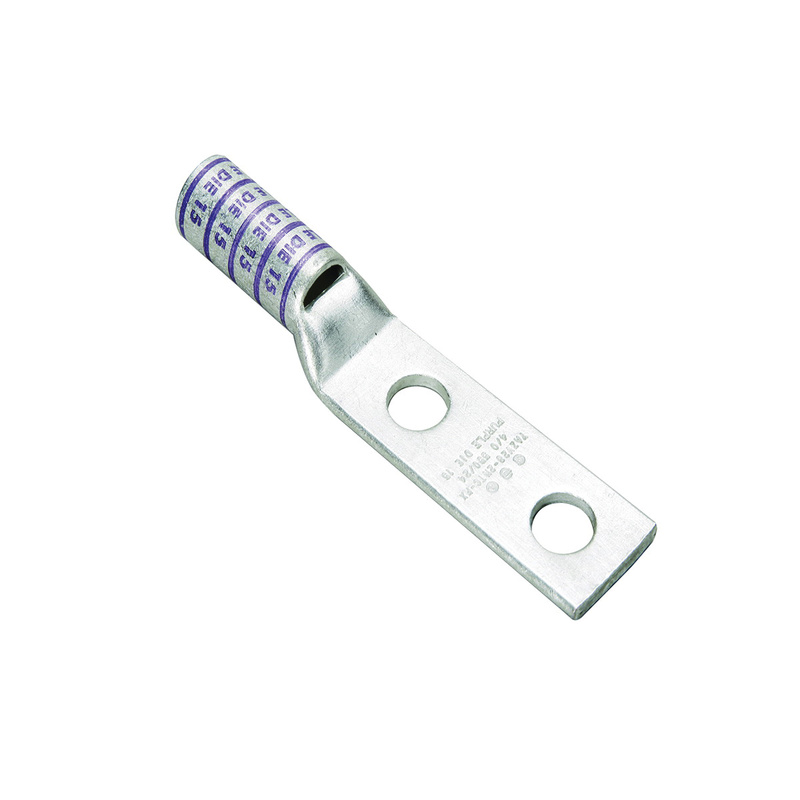 It accommodates stranded conductor of size 6-AWG and navy of size 30. It is suitable for use with copper conductors. Lug with 07-die code, is color-coded in blue for easy identification. The straight standard tongue of this lug has dimension of 0.45-Inch x 0.08-Inch. It is well suited for high voltage applications up to 600-Volts - 35-Kilo-Volts. Lug has stud size of 1/4-Inch, stud hole spacing of 0.75-Inch and strip length of 1-3/16-inches. It withstands temperature rating of 90 deg C. Compression lug is UL listed, CSA certified and RoHS compliant.